Avvo: Love it? Loathe it? Or Maybe a Little of Each? Avvo. I'm guessing that you have an opinion on the attorney rating site. In this article, we will be looking at Avvo, and learning how to use it to the best advantage for your law firm. Let's get to the bottom of what Avvo is, what's to love, and what's to hate. Avvo was created in 2006 to fill a perceived online void in ratings and referral systems for attorneys. Avvo strove to make itself different from (and in its manager’s eyes, better than) other systems such as FindLaw and LexisNexis Martindale. 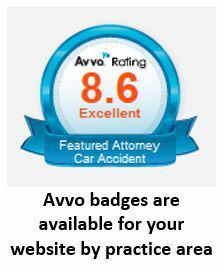 With this information, Avvo comes up with a ranking (from 1 to 10: "extreme caution" to "superb") for each attorney. Keep in mind that each of these factors is weighted differently, and like most rating algorithms, Avvo calls its algorithm proprietary. It keeps the formula secret to prevent attorneys from gaming the system—you know, like when shady SEO firms ran link-building schemes and people stuffed keywords into their content. Because of this, the rest of us are left to guess at exactly how they assign each attorney a rating. Also, there is an important distinction to be made between the ways Avvo rates attorneys. There are two distinctive ratings on the site: an Avvo rating and a client rating. The client rating does not affect the Avvo rating; the reverse is also true. According to Avvo this was done to give users two metrics by which to judge a lawyer—the Avvo-generated rating and the client rating. Avvo managers believe that this gives users a better picture of the attorney, and compensates for the lack of more subjective metrics (attorney personality, efficiency, etc.) in their rating system. Beyond the rating basics, Avvo offers some other, more "advanced" options. One of these is the ability to pay to have your ad displayed on the website. If you choose, you can also pay to get a premium membership. A premium membership would allow you to come up higher in search results on Avvo and remove other attorney advertisements from displaying on your profile. Additionally, Avvo has a "Legal Marketplace" that allows attorneys to bid on a prospective client's legal needs. In general, these cases are small, such as fighting a traffic ticket or getting help with an order or protection. There has been much discussion over this, and only time will tell if it will be useful to clients and attorneys alike. What's to Loathe About Avvo? Avvo has not been without legal troubles. A lawsuit filed against the company alleged that the site was a scam and libelous. However, the suit was dismissed based on the fact that the ratings are an opinion, not a fact, and thereby were protected by the First Amendment right of free speech. And so, like it or not, it seems that Avvo is here to stay. One perceived problem with Avvo is that its rating system only takes into account hard facts: time in practice, published cases, and the like. The formula doesn't factor in how personable an attorney is, what it's like to work with her, and if she returns calls in a timely manner. Avvo believes—and states on its website—that to combat this, users must not rely solely on Avvo to vet the best possible attorney for any given case. Instead, Avvo managers encourage those in need of legal advice to look at client ratings, information from the state bar association, and the website or web presence of the attorney. They argue—and I agree—that while an Avvo rating should factor into the decision to hire an attorney, it's only one piece of the puzzle. The biggest complaint about Avvo is that you are likely listed on the site, whether you approve of the company or want a listing. And more than listed, you are rated. The problem with this is that Avvo gets its information from independent Internet research, and some of the info has been found to be inaccurate—no shock there! More than one attorney has checked out their listings on Avvo only to find that essential information is incorrect. Wrong city, wrong firm name, wrong partner, you name it: Avvo can get it wrong. Unless you claim your profile, that is. Which brings me to my next point. What's to Love About Avvo? On the flip side, there are attorneys who swear by Avvo. They have claimed their listings and frequently add additional speaking engagements and professional accomplishments to their profiles. These Avvo fans enjoy the fact that they have access to the more than five million users who visit the site each month. And unlike other review sites, if you take control of your listing you can improve your rating. By adding professional achievements and ensuring that all of the above rating factors are fleshed out, you can dramatically improve your rating—for free. And as I discussed above, you have the option to pay to advertise on Avvo, participate in its marketplace, and improve your listing. This could be a great opportunity for smaller law firms trying to get their foot in the door of their local markets. The only word of caution I have here is that you ensure that any advertising you do on the site falls in line with the rules and regulations in your state. Before you advertise or join their marketplace, be sure the ethics rules in your state (or the most strict state you practice in) allow for it. Whether you love or loathe Avvo, the one thing you should never, ever, do is respond in anger to a negative review. There have been several instances where an attorney lashed out at a negative reviewer and got into trouble with his state bar. In one case, an attorney in Chicago was reprimanded by the Illinois ARDC for revealing client communications. The reprimand occurred after the attorney lashed out at the reviewer by revealing that the client (an airline employee who was attempting to collect unemployment benefits) had gotten into a physical fight with a coworker: a big, huge, no-no. If you type without thinking, you too could be reprimanded by your state bar, something that would most defiantly show up on Avvo—and across the Web—and negatively impact your image. So what do you do if a client writes something negative about you? First of all, take a deep breath and step away from the computer. When you sit back down, read over our top tips for responding to bad reviews. Believe it or not, negative reviews can actually help improve your image when you respond the right way. The Bottom Line: Do I Like Avvo? Yes, yes I do! And I think you should too. Any of Avvo's pitfalls can be easily mitigated by claiming your profile, a process which is simple and, perhaps best of all, free. To me, claiming your listing is a no-brainer. It gives you a quality, highly relevant backlink and helps you manage your legal reputation. And it really doesn't get much better than that! Claim your profile. Once you claim your profile you can't unclaim it. This is only an issue if your rating before you claimed it was "No Concern" or "Attention." In these situations, if you claim your profile and your Avvo rating is low, there is no way to go back to unclaimed status. But as long as you follow the steps below, that shouldn't be an issue. Add all required information. And beyond required information, I recommend taking it a step further and completely filling out all information, required or voluntary. Remember, we don't know exactly how Avvo rates attorneys, so it's better to give too much information than not enough. Fix mistakes in the public record. If you claim your profile and find that Avvo has inaccurate information from your state, you will need to address this with the appropriate organization within your state, asking them to have your record changed. You can alert Avvo to the change, or simply wait until they do one of their periodic updates. Earn bonus points. If you find that you have few or no client ratings on Avvo, be sure to address this with your review gathering strategy. There are many ways to open the door to more positive reviews; you just have to ask! The same goes with peer ratings. These factor into your Avvo score, so don't be afraid to reach out to your contemporaries and ask for their endorsement. I hope that I've helped you not only better understand what Avvo is, but how to make the most of the review site. If you have further questions or concerns we would love to address them. Just call 888-886-0939 or fill out the contact form on this page. Good luck out there and happy marketing! Should you copy and paste online reviews to your website? We weigh in. AVVO claim they don't remove negative reviews, they're being untruthful and deceitful. The fact is, they DO REMOVE reviews. I have hard copies of my approved review, which no longer exist on the AVVO site. AVVO cannot be trusted for attorney reviews. We actually had a very poor experience with AVVO. In the many months that we advertised with AVVO, we did NOT GET ONE viable lead! Many of the phone calls were from out of state and many more were from telemarketers. During that time, we received multiple calls from AVVO trying to get us to advertise more lawyers in our office so we were constantly getting sold to. In addition, when we spoke with them the end of Nov. to get a few more days (into Dec.) to decide if we wanted to cancel, their customer service rep said yes but when we tried to cancel on Dec. 3, they said we had to pay through Jan. (per their 30 day cancellation policy). This is not at all what we agreed to over the phone. I had been asked to follow up, and completely forgot about it until I re-read this article recently. Based upon Laura's recommendation, I had them remove my rating and remove me from search results. I am still not a fan of what they publish with it: "This attorney has requested that their Avvo Rating not be displayed. Attorneys who have not been disciplined and who do not wish to appear in Avvo’s practice area search results may choose this option." But it's better than coming up in results with an irrelevant and artificially-lowered ranking. Jennifer, Thanks for your feedback! I totally agree that Avvo can help an individual attorney's search results and up until a couple of weeks ago I would have agreed with your comment "I see no reason whatsoever to pay Avvo for any premium accounts or leads - the free profile is good enough for me." I think the effectiveness of the paid services correlate directly with the location and practice area of the attorney. For some of the more saturated metro areas, it hasn't seemed to make that much of a difference (or had any effect whatsoever on the amount of referrals or leads) for PI attorneys, but I've heard of great results for a divorce attorney in San Francisco which kind of shocked me as I was ready to write off the paid services completely. However, for the most part, I say go with free all day and if you try the paid services and don't see any results, cancel and save your money. Live and learn, right? Paula, Your situation is definitely not the norm and intrigued me to do a little digging. Although your profile cannot be removed, you can request that your rating not be displayed. By doing this, you will also not appear in practice area search results. If this seems like a viable option, contact Avvo and request that your rating not be displayed. Keep us posted on how that process works if you try it out. Eileen, AVVO uses a proxy to display your website. They do this as an attempt to make sure that any leads that come through their website are captured and tracked, so they can take credit from them. I am also not a fan of this practice. You will notice a 'X' at the top right that will take you to the main website, but most users are not savvy enough to actually do this. Paula, That is an interesting situation. Unfortunately you are right, but there are ways you can improve your AVVO score if it is something you are interested in improving for your reputation management. Answer questions to legal questions that might relate to your area of expertise on AVVO and get Endorsements from fellow lawyers you might know even if they aren't necessarily in your area of law. It will be more tedious for you than others, but your reputation is everything so you want to make sure that AVVO is not unfairly giving you a low score just because of the area of law you work in. Hope that helps. Well done Laura. AVVO is a fact for legal professionals so gaining every insight and practice tip is hugely valuable! Thanks for the helpful information. I love Avvo, although I can see where it would be frustrating for Paula to deal with it. I do the marketing for 4 attorneys, in almost every practice area in local and state-wide areas. I have had so many people say "well, Melanie has a 9.9 so she must be good" or "Keith has a 10 rating, is he really that good?" (the answer is Yes!). It was an effort to get in there and work those profiles, but I appreciate that I couldn't game them. I had to provide correct information and was rewarded in turn. It took a year to get 3 of my lawyers to a 10. One, who didn't do much activity until recently, was able to supplement his rating by answering ALOT of questions and getting kudos from fellow attorneys. I still have one attorney (with not a lot of previous experience and practically no involvement in organizations etc) who is still at the "excellent" level. Overall, it's been a positive player for us in search - particularly when someone researches one of them specifically and sees their Avvo profile. It's easy for potential clients to read and I think they give it weight. On the other hand, I see no reason whatsoever to pay Avvo for any premium accounts or leads - the free profile is good enough for me. I don't like that you can't actually click thru to the website. You get something that looks like your website, but it is not your domain and it has a black "Avvo" banner at the top. What is the purpose of this? Avvo bites. Mine lists a 20 year old "informal admonition" from bar counsel. It's hardly relevant today. On the other hand the company's sloppiness works in my favor: The photo they posted is not me! Poor schmuck. What I don't like about Avvo is that you cannot remove your listing, even if you are not practicing in a firm that is actively looking for clients. I am licensed in a state different from where I practice. I work for a nonprofit organization that provides legal information to the public. I do not appear in any local courts and know only a few local attorneys who do similar work. Yet my ranking is lowered due to lack of name recognition from local attorneys, which I will never be able to overcome, because I'm not going to have a reputation with defense counsel or with members of the public as clients. I don't like a number which makes it sound like I'm not a high-quality lawyer just because the way I practice law is different from the norm. Martindale-Hubbell's ranking system still allows you to have the highest ranking without conforming your practice in a particular way. It is a substantive flaw with Avvo's ranking system, and there is absolutely nothing you can do about it. I have tried.